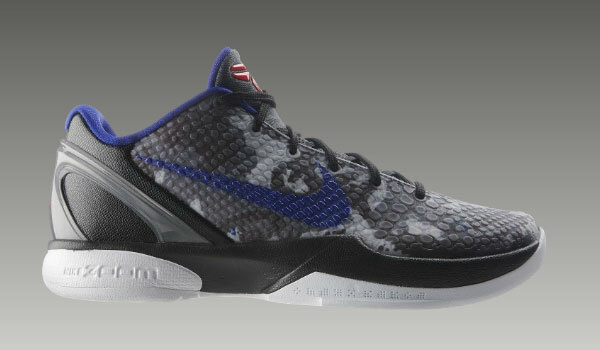 We are finally given a shot at the latest camo colorway of the Nike Zoom Kobe VI. One of the last few colorways of the Nike Zoom Kobe VI is finally available for purchase. Releasing as the third Camo colorway of the Nike Zoom Kobe VI, they work with a predominantly grey upper combining with black to create the camoflauge look. Concord takes care of the Swoosh and liner, while red covers the tongue Shozoku logo. A white outsole completes this latest colorway of the Nike Zoom Kobe VI. The Camo Nike Zoom Kobe VI is now available from NikeStore.